"Teen Tuesdays", at 2pm. 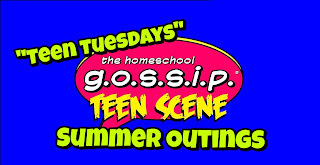 Summer outings, ages 14 and up, drop-off if desired. Hang out with homeschool teens.